Join the Lakeland Magic – our very own NBA G League affiliate of the Orlando Magic – for their home games at the RP Funding Center from November through March. All season long you’ll find awesome deals on tickets, pre-game activities, in game entertainment, special giveaways, and more. Kids can go onto the court after the game for layups and player autographs! Whether you love basketball, enjoy family friendly events, or just like to have a FUN time with your kids, the Lakeland Magic games have something for everyone! 2 hours of action packed basketball where every seat in the arena has a great view! Kid friendly time frame – games last approximately 2 hours, so it’s not a late night! 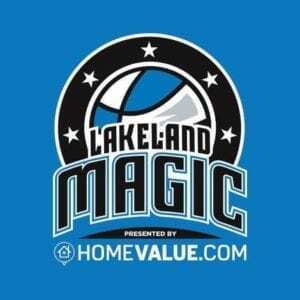 Learn more about kid-friendly fun at Lakeland Magic Games in our recent post.